Imagine this: You dive into the blue sea, adjust your mask and get comfy, and then begin to search for it. As you approach, the long-submerged wreck of the USAT Liberty comes into sight. This sunken cargo ship is encrusted with corals and is located at a comfortable 9 metres of water. There are hardly any currents here, and the shallow depth makes it perfect for beginner scuba divers and even snorkellers. This Bali diving trip includes two open water dives in Tulamben. For your first dive, you'll explore the wreck of the USAT Liberty and after this, you'll explore the Coral Garden dive site, where you'll find gorgeous anemones, sponges and sea fans. NOTE: You have to be at least a certified Scuba Diver or Open Water Diver to dive to the wreck. Tulamben was a small fishing village until the teeming dive sites around it were discovered, especially the wreck of the USAT Liberty, a US cargo ship that was torpedoed by a Japanese submarine in WWII. 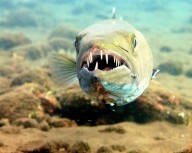 It is about 50 metres from a rocky shore, with the shallowest section at just 3 metres, going on to 29 metres. The wreck is home to rare pygmy seahorses, king barracudas, bumphead parrotfish, jackfish, gorgeous sea fans and sponges. For your second dive, you'll go to Coral Garden, where you'll see table corals, anemones and sponges, as well as clown fish, cuttle fish, octopuses, blue ribbon eels and black-tip reef sharks. 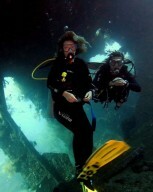 • Dive down to explore the sunken wreck of a US cargo shipwreck. • Dive to explore Coral Garden, one of the most famous dive spots in Bali. 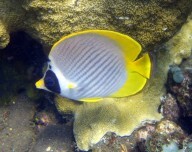 • Enjoy two dives in the tropical waters of Tulamben, Bali. • Spot fascinating marine creatures like the bumphead parrotfish, rare pygmy seahorses and a variety of shrimps. • Explore the many gorgeous anemones, table corals and sponge corals. You must respect the natural environment during the wreck diving in Bali. Do not touch, tease or harm any fish, coral or other marine life during your scuba dive in Bali. 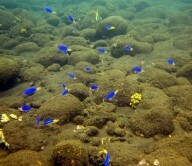 The operator will provide all the necessary equipment for the scuba dive in Bali. You must use the equipment with utmost care. Participants are strictly prohibited from carrying or imbibing drugs, alcoholic beverages or other intoxicants before or during the scuba dive in Bali. For cancellations made more than 2 days before the start of the wreck dive in Bali: 50% of the trip cost will be refunded, minus any transaction charges. For any cancellations made 0-2 days before the departure of the wreck dive in Bali: No refund. The operator reserves the right to cancel, alter or reschedule the itinerary of the wreck diving in Bali due to any unforseen conditions such as bad weather, natural disasters, war, political unrest and other hostilities that declare it unsafe or harmful for the participants or staff. Participants will have to sign an indemnity form before starting the scuba diving in Bali. Eat an early breakfast before your pick up arrives at hotel by 07:00 hrs. You'll be driven to the dive centre where you'll finish basic paperwork. You'll be driven to the dive destination, which is about 2 hours away. From the shore, you'll head to the USAT Liberty for your first dive. After a break for snacks and beverages, you'll set out to Coral Garden for your second dive. This site has plenty to see, and you'll spend a happy 45 minutes exploring it all. After that, you return to the shore for lunch. When you're done, you'll return to the dive centre to fill in your log book and return your gear. After that, you'll be dropped off to your hotel. Your Bali scuba trip ends here. Your operator will arrange your transport to the start point of this scuba diving day trip in Bali.